DeKalb Police Sgt. Tony Kwasniewski helps 9-year-old Tyjaya Frierson shop during the Heroes and Helpers event Sunday at Target in DeKalb. 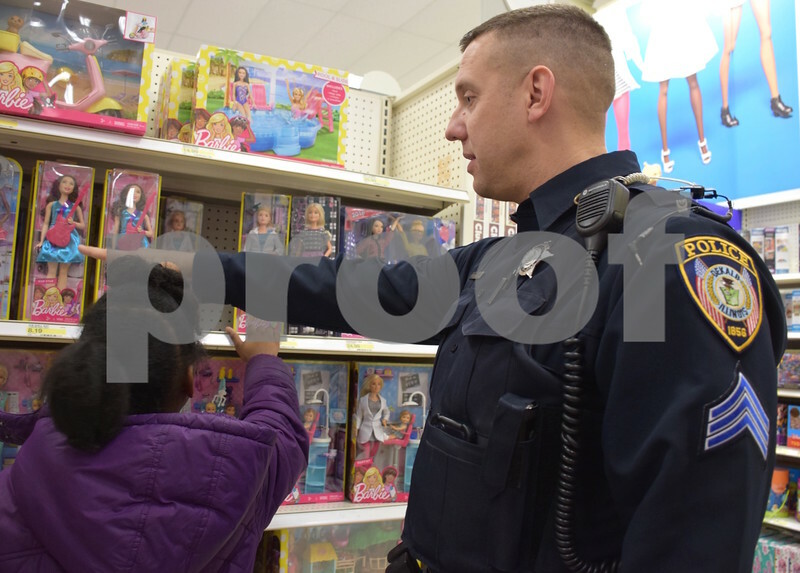 Thirteen DeKalb police officers volunteered to help with the event, which provided 38 children in DeKalb School District 428 the opportunity to choose and take home more than $100 in Christmas presents each.